We are listed among the reputed Exporters and Suppliers of Refined Sunflower Oil from Thailand. It is the non-volatile oil extracted from 100% pure and fresh sunflower seeds. High quality, purity and easy to digest are some of the attributes that make our Sunflower Cooking Oil highly popular. It is ideal for people with cholesterol related problems. One can obtain Refined Sunflower Oil from us at the best market price. 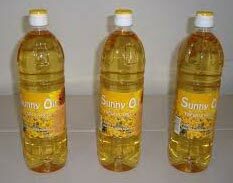 Our Pure Sunflower Oil combines the best of quality and price. We ensure that all orders for the Pure Refined Sunflower Oil reach the customers within the scheduled time. For 100% pure Refined Sunflower Oil, contact our team at the earliest.